No goals please, we are cricketers. All footballers on this thread please line up alphabetically by height. Happy Birthday, Sir Garfield St Aubrun Sobers, AO!!! Born this day, Garry Sobers, one of Wisden's Five Cricketers of the Century, was just 21 years old when he converted his maiden Test century into a colossal 365 not out against Pakistan in Kingston in 1957-58, which remained the Test record for 36 years, until Brian Lara came along. 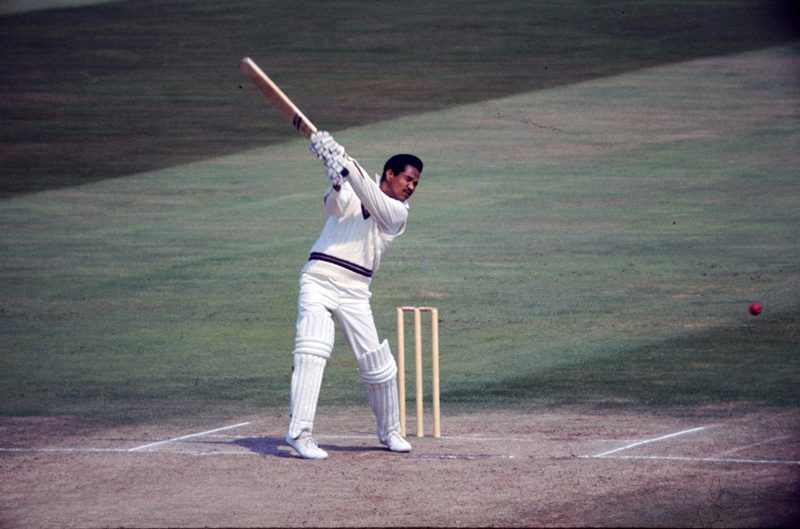 Sobers won the 1966 series in England almost single-handed, scoring three centuries - all in excess of 160 - and a 94, as well as taking 20 wickets with his left-arm bowling, which would flit between seam and spin as befitted the situation. For many years he was a stalwart at Nottinghamshire, and against Glamorgan at Swansea in 1968 he became the first batsman to hit six sixes in an over in first-class cricket, making Malcolm Nash famous in the process. A colossus with bad knees, Sobers retired from the game in 1974, with 8032 Test runs and 235 wickets to his name, and was knighted shortly afterwards. Convicts crush Poms to draw level. At the moment of victory, all of England's players rushed into a huddle on the edge of the square - all except for one, that is. In his moment of Test retirement, Andrew Flintoff's first instinct was to seek out and console the crestfallen centurion Hussey, whose 121 from 263 balls had given his side a hope of salvation, but whose careless running between the wickets during a fraught afternoon session had been the single biggest factor in their demise. By calling for the single that led to the run-out of his captain and resistance-leader Ricky Ponting for 66, Hussey is unlikely to recall this particular innings with any fondness whatsoever. Inevitably, it was Flintoff who stole the show from the Australians. He could not be the tub-thumping batsman of old in this series, while his bowling - though thunderous at Lord's - faded cruelly as the concerns about his right knee began to mount. But as a presence, and as a man who can make things happen on a cricket field, his spell has scarcely diminished. In a moment that is sure to be replayed for years on end, he gathered a firm clip from Hussey, steadied himself as Ponting hesitated fatally, then unleashed a fast, flat, unerring swing of the arm that plucked out the off stump with Ponting a foot short. New kid on the block and Brian Lara's protege. Will he get his third triple century? Has there ever been another like him? Matthew Hayden could pillage bowlers too, but his strike-rate looks pedestrian next to Sehwag's. Adam Gilchrist scored marginally quicker but how often did he have to face the new ball? Even the King, Sir Vivian Richards, never went after bowlers with such menacing intent, day in, day out. So who needs Tendulkar and Sehwag? As usual the Aussies dominate. Melbourne, Feb 1 (PTI) Soon after he was charged for ball tampering during the fifth one-dayer against Australia, Pakistan all-rounder Shahid Afridi said all he was trying to do was to smell the ball while coach Intikhab Alam wondered why he was acting "like eating an apple". "I tried to smell it. There was some things on it that I tried to move," Afridi told ABC radio in his defence. Afridi later pleaded guilty when he was charged by match referee Ranjan Madugalle with article 2.2.9 offence of ICC Code of Conduct for breaching Law 42.3 of the Laws of Cricket and was handed a ban of two Twenty20 Internationals. "I don't know what happened to me that made me do such a mad thing. It was not right and I apolosise for my actions to everyone. What happened was very unfortunate and should not have happened. I have learnt from my mistake and will not repeat it again," he said. Pakistan coach Intikhab Alam said Afridi's actions were unacceptable. "It is unfortunate, he (Afridi) has accepted it that he should not have done it. It is unacceptable, it should not have happened - I feel sorry for him, being a captain you should be above everything. "It just happened, like he was eating an apple. I have no idea (what he was trying to achieve)." Once upon a time, 250 runs in one day in a test match was something terrific; then, 250 runs in a one-day 50-over game was considered terrific; now, folk score 250 runs in a 20-over game. Muralitharan....a pity he retired from test cricket. What is he doing now? Class act and all of 18 years old. Same bloke caught by the police in London. From wonder boy to wonder fraud.